2.0: Instant coaching for all of your goals.
. Published on December 16, 2014 . 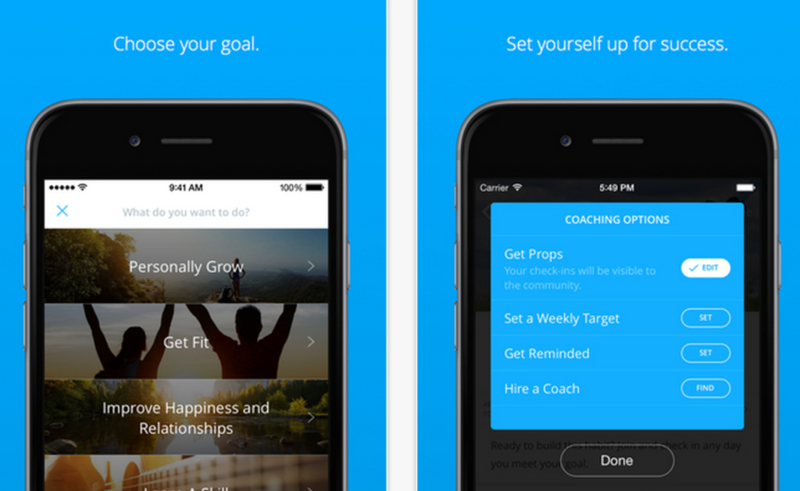 Today we’ve released Lift 2.0 with instant coaching for all of your goals. Get the update on iPhone, Android and web. Lift 1.0 was for habits. Lift 2.0 is for giant goals like competing in a triathlon, dropping massive amounts of weight, learning to meditate, creating the optimal productivity system, or writing a novel. If you want to be super human, Lift is the best training available. A personal coach for every person. We’ve launched 700 personal coaches to provide 1-on-1 coaching for 1300 goals. They are great coaches and I can’t wait to tell you about them. One of these coaches is a perfect match for your goals. Deep coaching support. One-on-one coaching is our highest level of support (and the only level that costs money). But everything in Lift is a form of coaching. 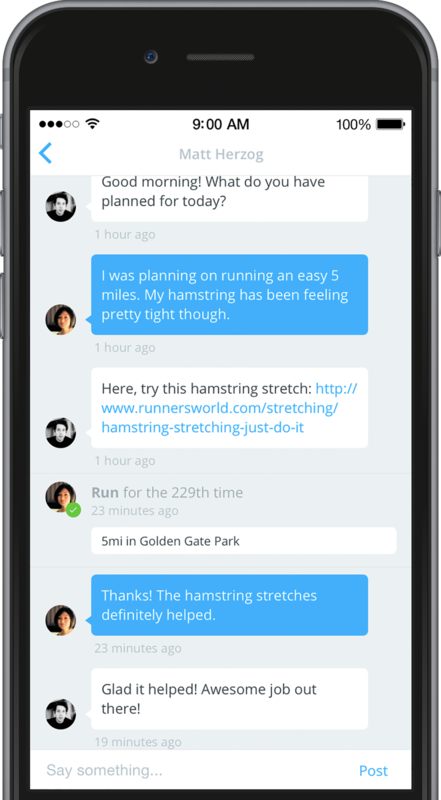 We pair tools and community to keep you motivated: progress tracking, reminders, Q&A and props from your peers. These coaching features remain free. A community of peer coaches. On Lift you are always both the coach and the coachee. As you gain experience, give props to other people in your goals, answer their questions, and eventually, consider becoming a 1-on-1 coach yourself. Our first 700 coaches all started as Lift success stories. Have first hand knowledge in your most important goal. The coaches are hyper-specialized in the way that Lift goals are specialized. If you just read the 4-Hour Body, we’ll give you a coach who read and practiced the same book. Be coached on your schedule. The coaches work through chat messages on your phone. You don’t have to put them in your calendar because they’re always with you. Be the best available. We measure the performance of every coach. That means we’re always recommending you the best available coaches. I should also mention price. In-person coaches can cost $250 per hour. A coach on Lift will talk with you all week for $14.99. High quality coaching is a luxury that we should all have access to. Now we do! Coach Josh Roman uses his personal experience in Inbox Zero to coach other people in productivity. 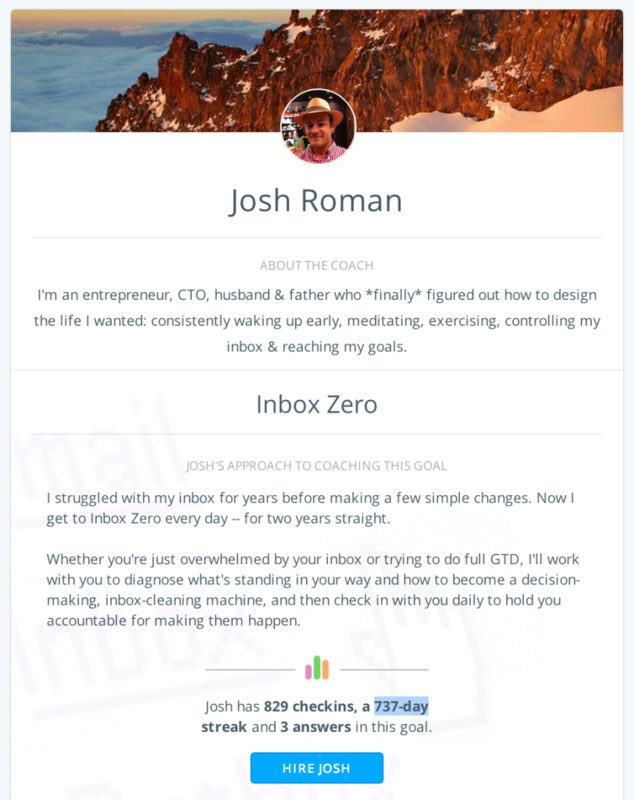 Josh Roman, a family man and entrepreneur, has a 737 day streak of Inbox Zero. He wants to help you learn to be more productive. Dan Clark is a former TV star from the show American Gladiators (he was Nitro). He’s helping Lifters stick to a diet and several have already lost more than 15 pounds. In 30 years of training, he’s seen every side of fitness and health. Hire Dan to help you learn how to drop fat. Natasha Lynn is measurably one of the top five most helpful people in the Lift community and is using her 55-day streak in writing a Daily Gratitude List to help people learn to appreciate life. To hire a coach, browse our most popular goals, join a new goal, or select the coaching options on one of your existing goals. Side Note: Do you want to be a coach? We’re building a platform and marketplace for online coaching. One-on-one coaching is just the beginning. 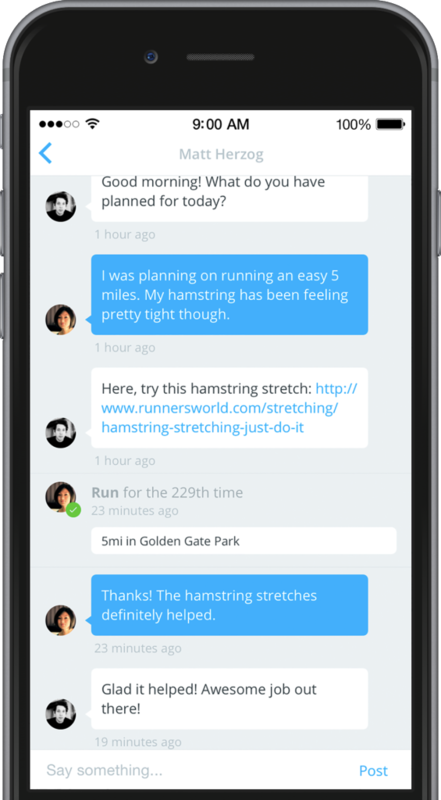 If that sounds interesting and you’d like to use Lift to coach other people, give us your info. We’ll be opening Lift up to more coaches very soon.